Zoomin is a leading online service that enables you to share, store, and print your digital images, easily and affordably. From photo books, prints, postcards, gifts, stationaries and more, Zoomin is no doubt on top of their game. Their photo prints and gifts are of the highest professional quality, using world class technology and infrastructure to deliver you top notch products. Zoomin ultimately allows their members to connect with family and friends, sharing love, laughter, and life - online and offline! 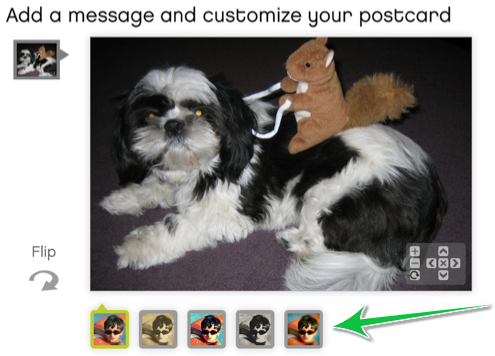 Zoomin's latest initiative, Zoomin Postcards, is a Facebook app that allows you to upload and send any of your Facebook photos as REAL postcards! Send them to your friends, your family, who knows, maybe even your dog! 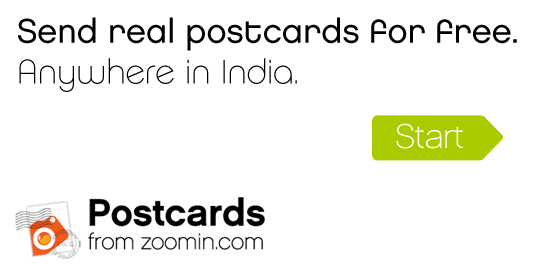 Currently, these real-life postcards are limited to being sent only in India, but Zoomin plans to offer digital postcards soon, allowing any user across the world to benefit from their app. The best part? They've just integrated Aviary's Effects API, adding a variety of effects for their users to have fun with, including First Camera, Old Newspaper, and more! This is a great example of how our API can be used to enhance your already awesome app or platform. We're more than excited to be a part of Zoomin's fun and creative project! If you're interested in testing, integrating, or learning more about the features of our Server API, email us at api[at]aviary.com or visit the Effects API documentation! 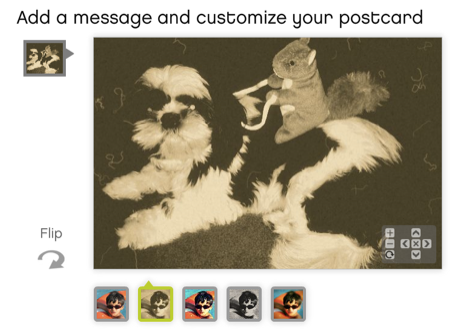 Getting started with Zoomin Postcards is easy. Visit Facebook.com/Zoomin and 'like' their page. 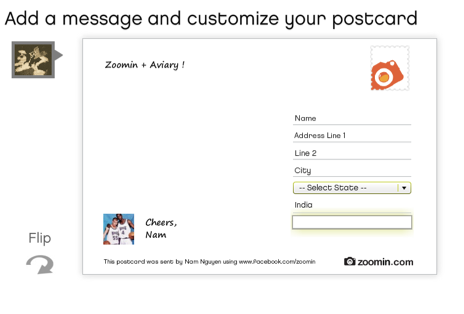 Then click on Zoomin Postcards in the sidebar, located on the left-hand side (or you can just go straight to apps.facebook.com/zoominpostcard). 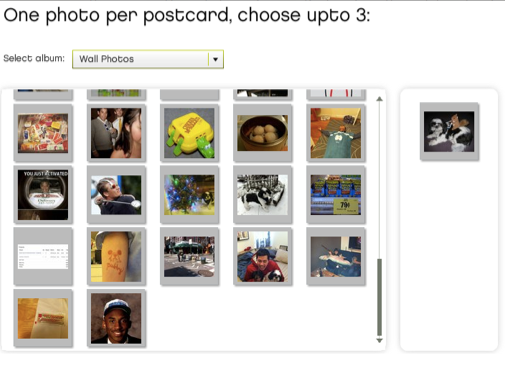 Then customize your postcard! You can choose from 4 different filter effects, located underneath the photo. Flip the photo over to add a message and address, and you're good to go! Here's a video tutorial to help you get started! If you've integrated our Server API onto your site, let us know at api@aviary.com. If you're a developer and would like to try it out, get an API key, read the technical documentation, or use it on your site, check out the Effects API documentation!